Find Out What's Happening This Halloween Season at Brighton Asylum! NewJerseyHauntedHouses.com recently sat down with Rich Gonci of Brighton Asylum, to discuss what's new at Brighton Asylum for the 2017 Halloween Season! Located in Passaic, Brighton Asylum is an attraction that is well known all over the nation. They're stirring up tons of scares for 2017 - find out what to expect below! What's new at Brighton Asylum for 2017? 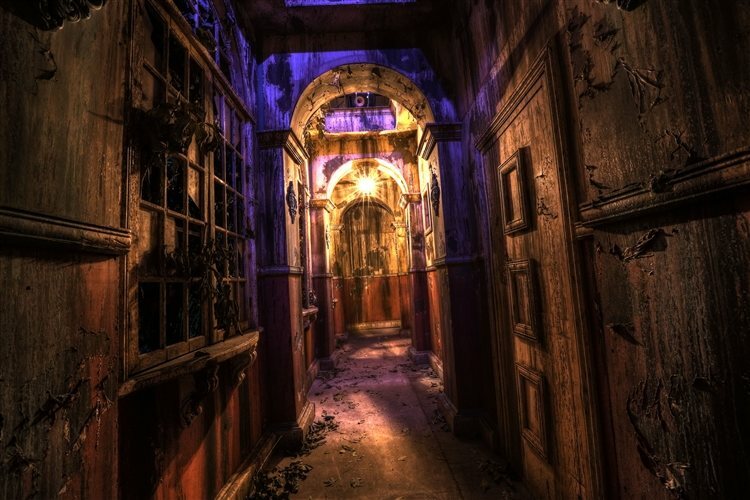 Do you have any new rides, attractions, or special features that Haunt Seekers should know about? Anyone who visits Brighton Asylum on a regular basis knows that we are leaders in the industry when it comes to providing yearly updates to our guests. 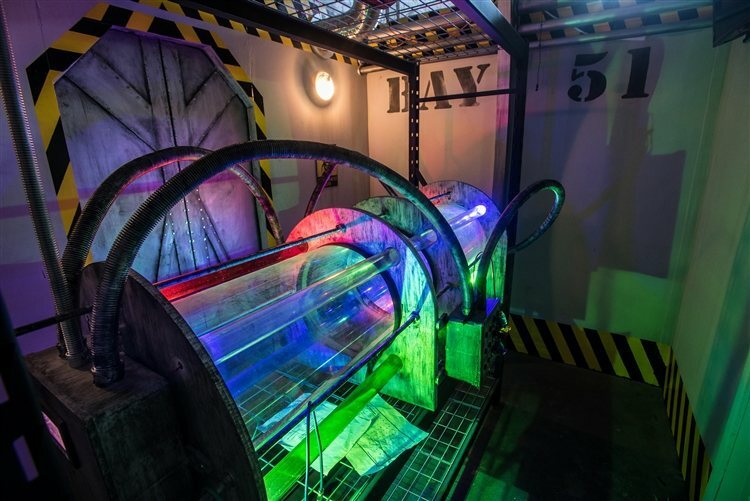 We added a brand new attraction "The Tunnel" in 2015. In 2016, we completely updated Brighton Asylum from top to bottom and introduced "Brighton Asylum Escape, a world class escape room experience with 4 themed escape room experiences to choose from. For 2017, we are proud to introduce "Check-in", a fully immersive, physical interactive pre-show experience! We are very excited about bringing this experience to our guests. This experience is included with a "combo" ticket to both Brighton Asylum and The Tunnel. Additionally, we have updated various scenes in both Brighton Asylum and The Tunnel including an all new surprise ending to Brighton Asylum we cant wait to unveil! Also new for 2017 is "The Horror Museum", where you can see original screen used props and costumes from your favorite horror films up close and in person. See props and costumes from The Resident Evil films, 1408, Terminator Genysis, Anityville Horror, and more! We have even updated the game flow in our escape rooms, making them even better than ever! When it comes to bringing our guests new attractions and updates, we over deliver each and every season! We are most excited to unveil all the new updates to our loyal guests, who have been waiting all year for more! What differentiates Brighton Asylum from other local haunts in New Jersey? Our quality, for one. When guests come to Brighton Asylum, they are getting a complete immersive experience, we feel, are missing in most haunted houses. Brighton Asylum is the complete package. Many haunts rely on only a few elements to provide their entertainment and scare factor. What does a haunt that uses no animatronics supposed to do when their actors get sick or call out? Conversely, What does a haunt do that relies heavily on animations when they start breaking down mid season? 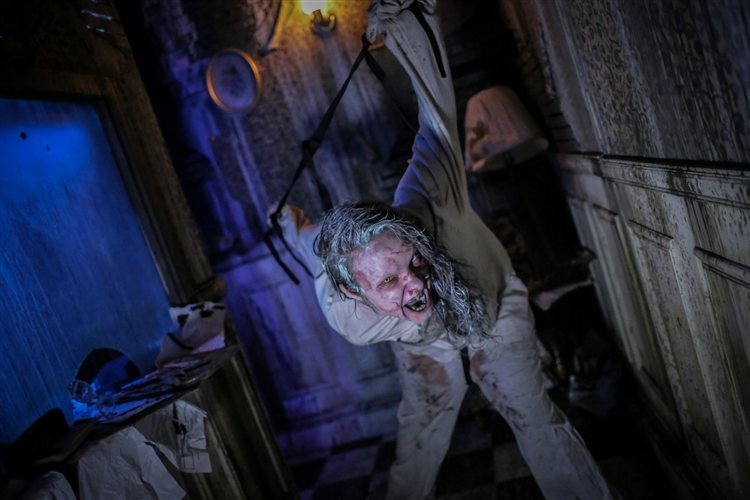 Brighton Asylum uses the perfect balance of live actors, custom interactive sets that provide unparalleled scares and entertainment, and state of the art special effects that really provide a "wow" factor not achieved in traditional haunted house environments. Another aspect that sets us apart from the rest is our costuming and make up. We have several professional fx makeup artists and costume designers completing the looks of each actor to really make guests feel their surroundings. Every photo on our social media and website of characters can be found inside our attractions. That's very rare as many attractions like to use clip art to promote their attractions instead. Not us! What you see is what you get! How long has Brighton Asylum been in business? Can you tell us a bit more about Brighton Asylum's history? This will be our 7th year in operation. The popularity of Brighton Asylum had become very great, very fast. In just 2 years of operations, Brighton Asylum had already gained the attention of The Today Show, where Al Roker, Tamron Hall, and Willy Geist experienced the attraction with go pros. Tamron Hall was later taken to the hospital with a deep muscle tear from screaming. She later called us "The Scariest Place On Earth" during a later broadcast. Since then, Brighton Asylum has made countless "top haunt" lists all over the country, and was even visited last season by actor James Franco. 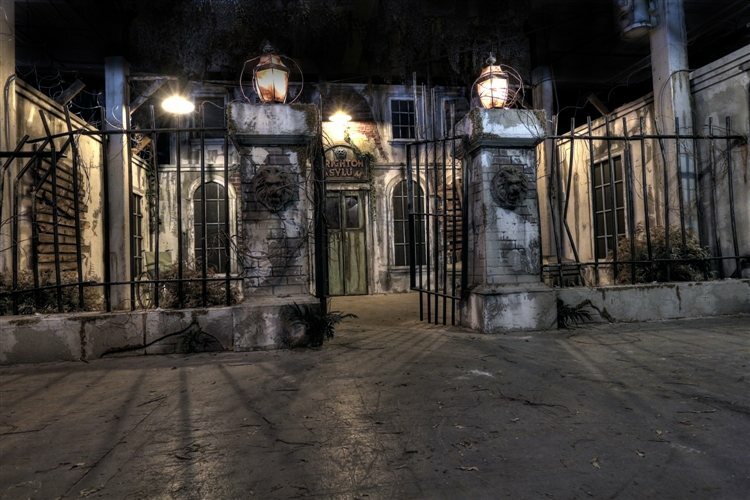 What's your favorite experience since opening Brighton Asylum? In general, its seeing satisfied guests exiting Brighton Asylum. Whether their terrified, laughing, screaming, or running, i know 'we've done our job for the season when guests are reacting positively to all our updates. How long is a typical haunt experience at Brighton Asylum from start to finish? There is a lot to do at Brighton Asylum. We have two world class haunted attractions, 4 escape rooms, a horror museum, nightly queue line entertainment, it's possible to spend an evening with us. A couple hours easy, if participating in all Brighton Asylum has to offer! On a scale from 1 to 10, how scary would you say Brighton Asylum is? Why? Of course we think it's scary! We designed it. But remember, fear is subjective. What one person finds scary another will not. That's why Brighton Asylum is also designed to be fun. If you're not busy getting scared your having fun! Either way Brighton Asylum is a great time for everyone. Does Brighton Asylum's property have any real haunted history? Do you have a spooky encounter you'd like to share? Absolutely! Read about our legend here! I've been a frequenter of haunted houses since I was a kid. With my birthday in October, my parents would drive me to a different haunted house every year. In many ways I have them to thank for this. I also have a performance degree, so the two really go nicely together. My favorite part of the business is building and creating new worlds for people to explore! How has new technology (i.e. animatronics, special props, etc) helped you to enhance Brighton Asylum? We embrace technology with open arms and we are at the forefront of it. We find technology helps support our actors and provides yet another tool at the actors disposal. Our guests want a completely immersive environment, and technology allows us to put people inside their very own custom made horror movie! Can Brighton Asylum accommodate large groups? How many people can experience Brighton Asylum together as a group? We offer group rates for 20+ guests. However, we only send in a maximum of 5 guests at a time. We NEVER conga line. Does Brighton Asylum offer any special deals, discounts, or coupons? Absolutely! We run Groupon deals, we have a coupon available right on our website and we are the only NJ haunt we know of that routinely gives away dozens of free tickets to fans on our social media! Anything else you'd like to let us know about Brighton Asylum?